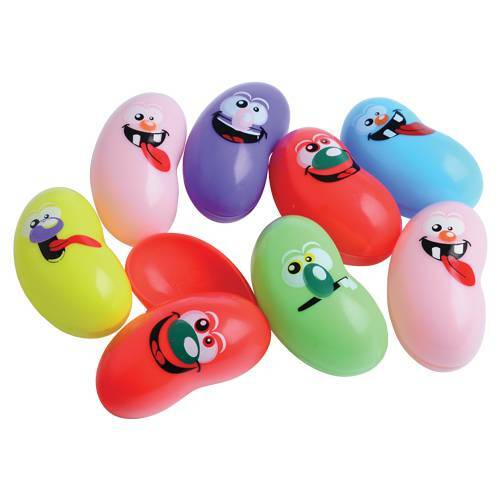 Get them laughing while on the hunt for these fun, jelly bean-shaped eggs! Each egg has a funny face and shape, giving them more personality than your average plastic egg. They pull apart and easily snap together for easy filling. Kids will love collecting these in the next Easter Egg Hunt.